With many different styles of medieval and Renaissance earrings to choose from, you are sure to find the perfect pair to go with your historical clothing. You will find long, dangle style earrings encrusted with rhinestones and other simulated jewels, post style earrings, and hook style earrings with classic medieval and Renaissance symbols and designs. Most of our earrings are made from fine sterling silver, if not the material used will be listed under each product. 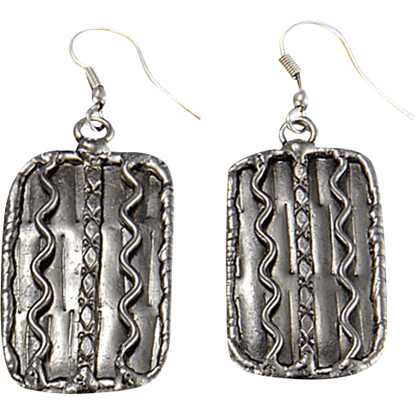 These medieval earrings are perfect for any occasion or everyday wear. The Agate Teardrop Stone Earrings look like ornaments from an ancient realm in touch with the powers of nature. 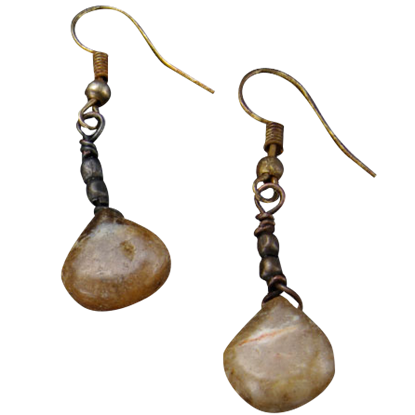 These medieval earrings have smooth agate stones as their charms, accented with beads and suspended from French hooks. 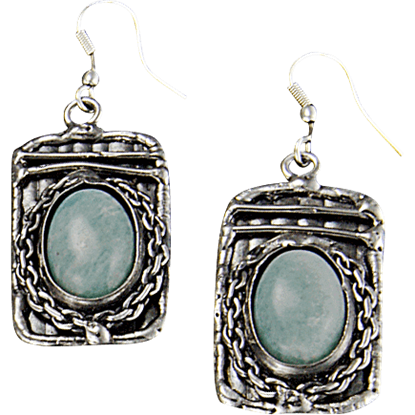 Mystic elegance surrounds you when you accessorize with the Amazonite Silver Diamond Earrings. 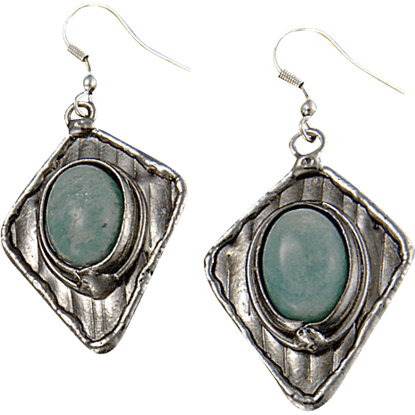 These silver plated dangle earrings feature oval cabochon style amazonite gemstones set on antique finished, diamond shaped bases. Adorn yourself with the mystic aura of an amazonite gemstone. Delicately styled to resemble jewelry of antiquity, the Amazonite Silver Rectangle Earrings are unbound from time and trend, ideal for accenting almost any look. 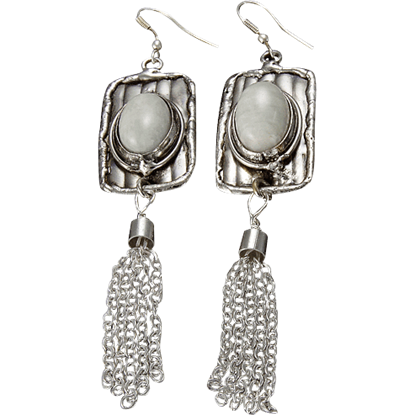 Enchant any beholder when you accessorize your look with the Amazonite Silver Tassel Earrings. Each showcasing an oval amazonite stone, these earrings end in unique chain tassels, mixing modern exuberance with timeless wonder. 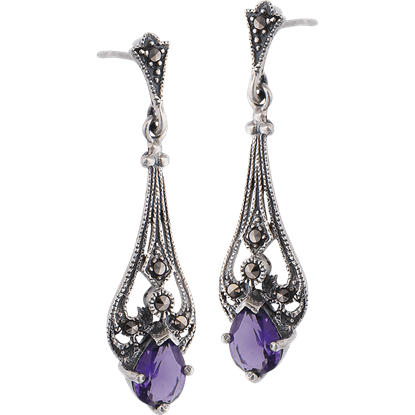 Dramatic and unique, the Amethyst Marcasite Drop Earrings feature an elongated teardrop design that ends with a vibrantly hued amethyst gemstone. Small marcasite elements stud the design for additional glitter. With artistic lines spread forth like the tendrils of a plant, the Antique Silver Plated Oval Earrings embrace the beauty of nature in a subtle way. 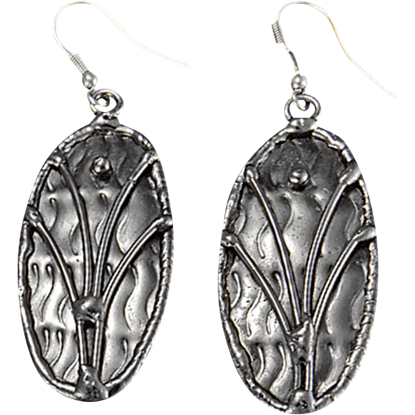 Wear these oval dangle earrings with formal, casual, and fantasy-inspired outfits. Accent your casual, formal, and fantasy outfits with the Antique Silver Plated Rectangle Earrings. Artistic waves, lines, and ridges texture the surface of each earring, creating a look that blends modern style with rustic beauty. A bit of Mother Nature can go a long way towards helping a girls style. 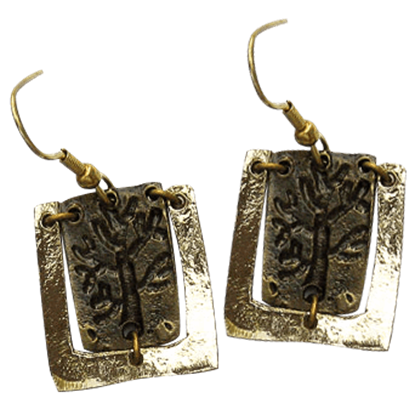 These Antiqued Brass Engraved Tree Earrings allow you to bring a lovely tree design into your attire, while also adding an artisanal touch to your ensemble, too. Nothing brings noble style to an ensemble quite like an accessory, and when that accessory features the symbol of royalty, so much the better! 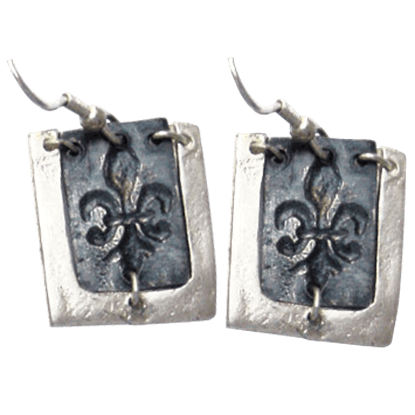 These Antiqued Silver Fleur De Lis Earrings are a pair of great accents that do just that! Space, shadow, and starless nights come to mind when gazing upon the Black Onyx Silver Oval Earrings. 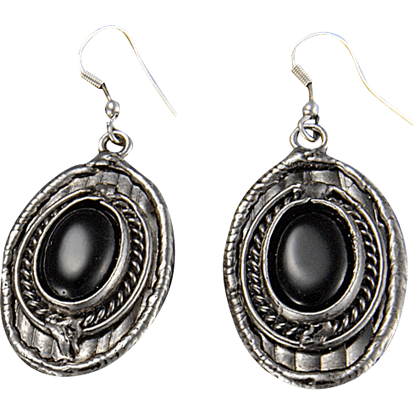 Featuring cabochon style black onyx stones upon antique silver plated bases, these gemstone earrings possess an intriguing beauty. Add the perfect touch of elegance to your ensemble whenever you wear these charming sterling silver earrings. 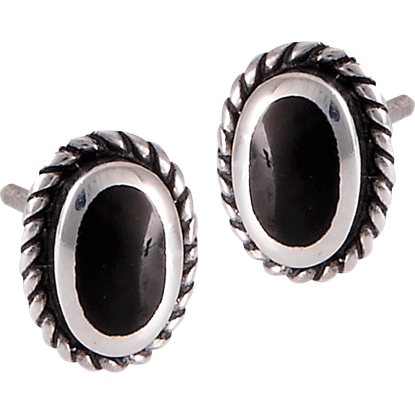 The Black Onyx Sterling Silver Stud Earrings display a central oval black onyx stone as the focal point of the design. 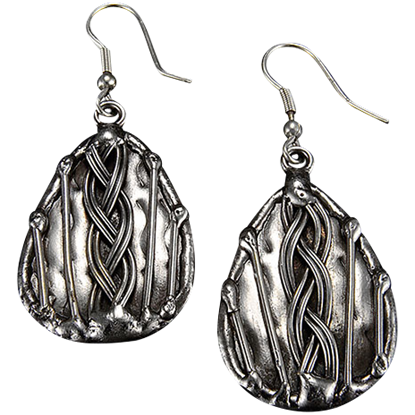 The Braid Teardrop Antique Silver Earrings are beautiful accents to styles both historical and modern. Whether as part of Celtic, Viking or even Renaissance or fantasy outfits, these silver dangle earrings add elegance to your look. My order was exactly as I pictured it. The seller was very courteous and responded to all my questions very quickly. Highly Recommend!